I had fun working on this series. Working with Lindsay is always awsome she gives me complete freedom. Lindsay A. 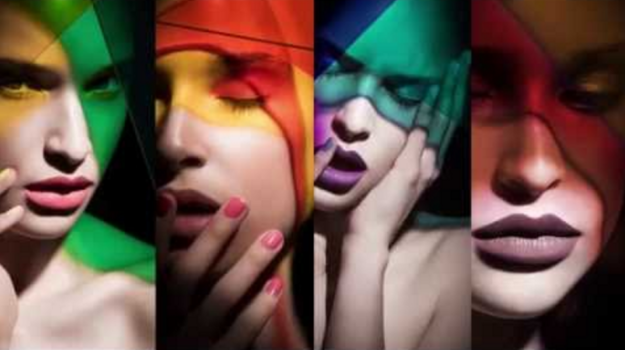 “I’ve been wanting to shoot an editorial with gels projected on the face for quite some time now! I teamed up with the incredibly talented Griselle Rosario to do hair and makeup for this Elle Indonesia editorial. On this bold and dramatic gel shoot stylist LSC for 4Seasons Style Management provided accessories and Angel Williams was our manicurist. I photographed beautiful Cece from Wilhelmina as my gel muse! View the finished images here: http://learn.lindsayadlerphotography….